The Raymond Corporation’s main facility parking lots are critical to its rapidly growing workforce. This project consisted of the reconstruction of the existing 130,000 ft.2 main parking lot. 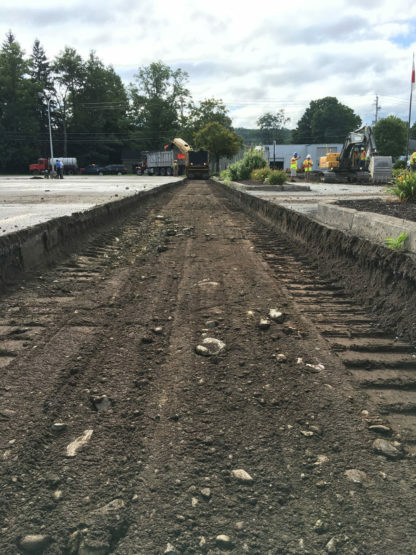 As the heavily utilized lot could not be disturbed during business hours, Upstate Companies performed in 2 days, off-hours, and made accommodations for Raymond’s aggressive trucking schedule. 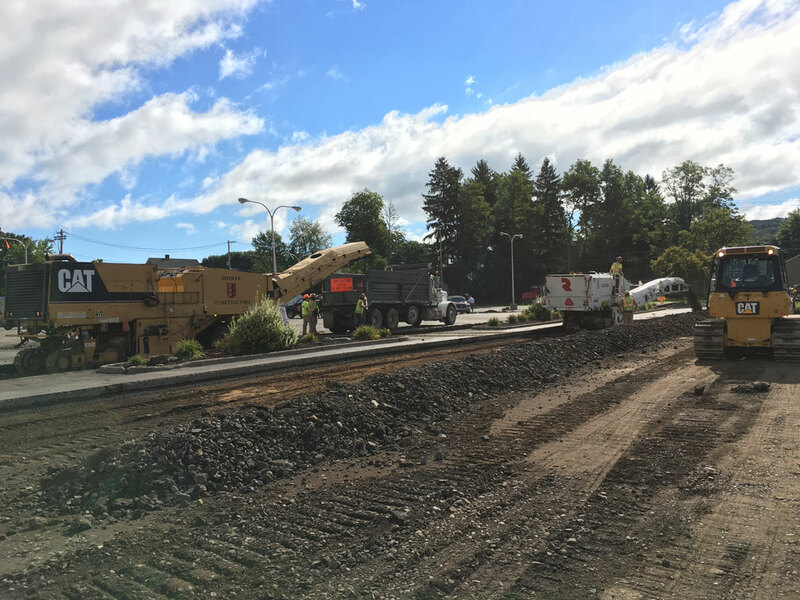 Two milling machines were brought into this project and worked simultaneously for the removal of the existing asphalt and 8” of base. 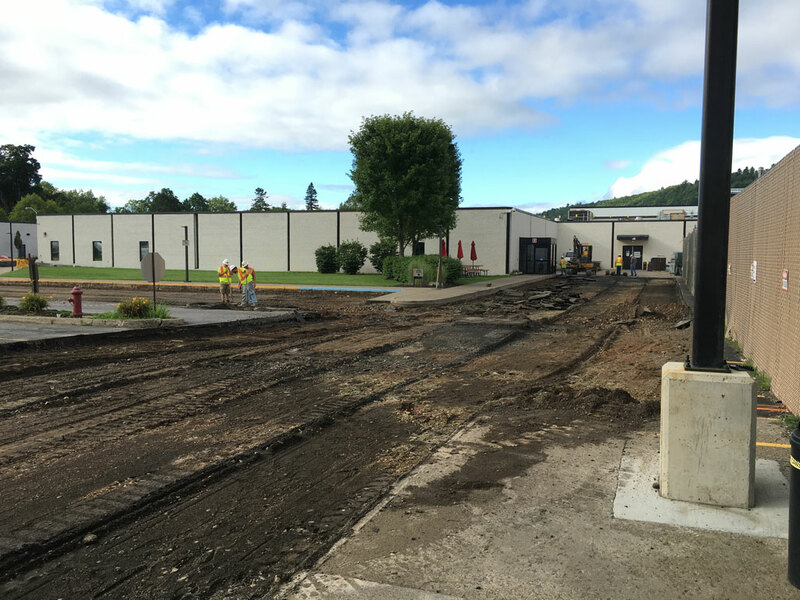 Special care was required due to numerous utilities located approximately 12” below grade. 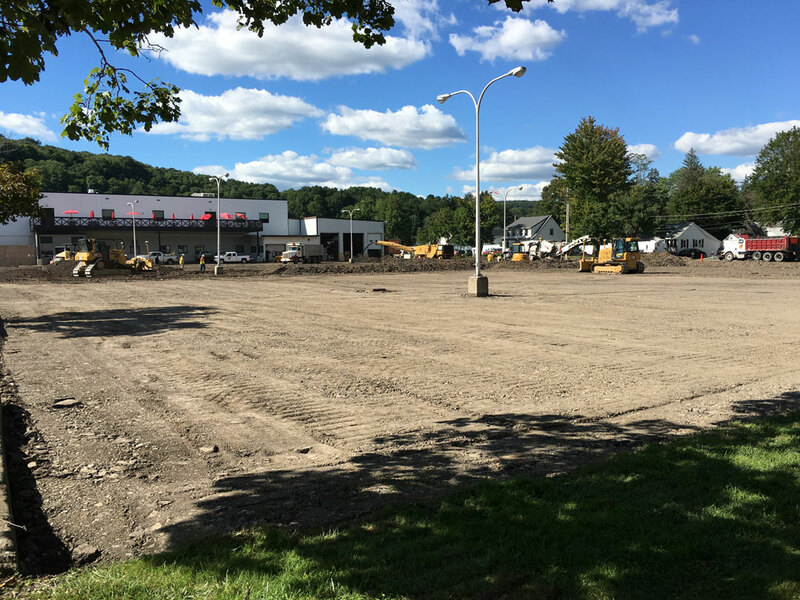 The entire parking lot was milled, regraded and compacted in 1 day. 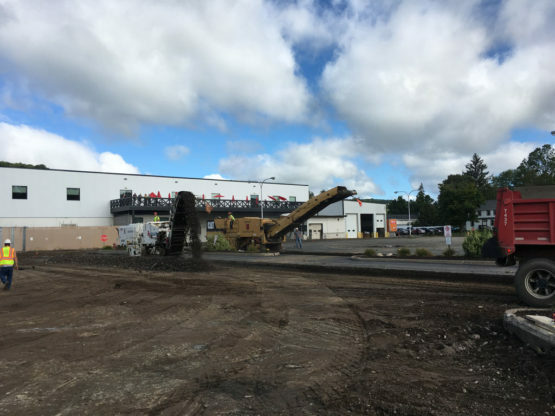 The following day, the entire parking lot was paved and striped, allowing Raymond’s employees to park in the lot Monday morning. Upstate Companies prides itself on its ability to perform under pressure and within the constraints of aggressive construction schedules.